MORE THAN JUST A RUG. 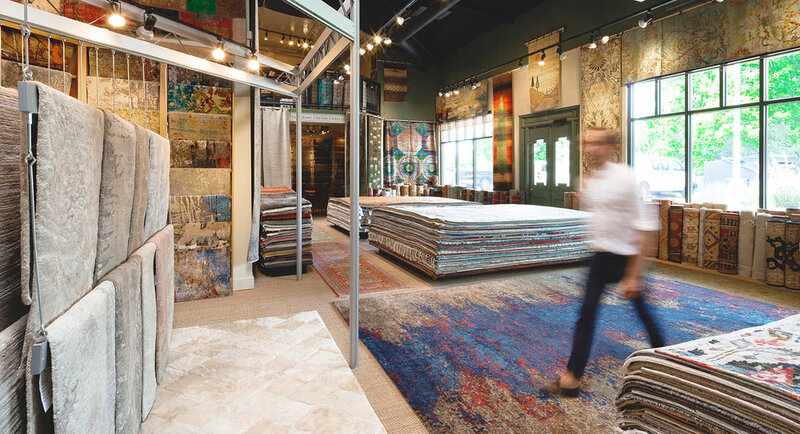 David Alan Rugs is a premier source for fine oriental & decorative rugs to high end designers and retail clientele. Contemporary rugs are modern designs that can be "soft" or "hard" depending on its patterns and colors. They are more Western in their designs and best suited to new and informal homes. Although they usually incorporate bold color choices and unusual design elements, contemporary rugs can also be very subtle and fit seamlessly with furniture and décor. Traditional rugs usually refer to either; traditional Orienta, Persian, European or Victorian patterns. With designs that date back centuries, they are described as gorgeous, ornate and intricate in pattern and colors. With universally recognized beauty, it is no wonder that traditional rugs are known for the luxurious touch of elegance they add to any room. Transitional rugs are a more casual style that falls between traditional and contemporary. They are often adapted from traditional designs with a modern twist or reworking of traditional colors. The result is an enduring design that is comfortable and classic, striking the perfect balance. Michael Veròn The Hide Co.
Michael Verón provides quality hides handpicked by exclusive suppliers from all over the word. These hides are used to meet the satisfaction and needs, of custom specification of our clients. Craftsmanship, design, color, creativity and passion is what makes these rugs set the ambiance of any room and style. Here for your every step. We offer our customers excellent service,competitive pricing, outstanding quality, and a wide selection while being accommodating to your needs, honest, & keeping promises.